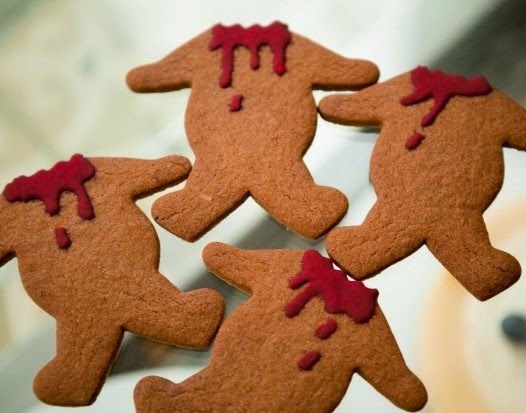 A lot of gingerbread kits sold in stores aren't vegan (though you can buy a vegan and gluten-free one from Sensitive Sweets in Orange County - they ship, too! 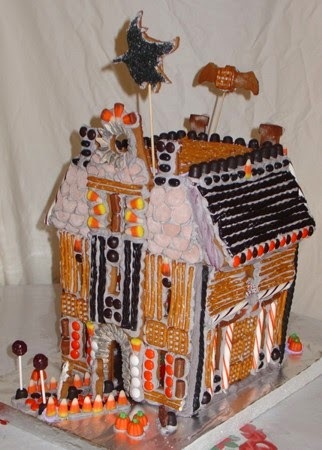 ), but you can make your own vegan gingerbread house by following this easy recipe! 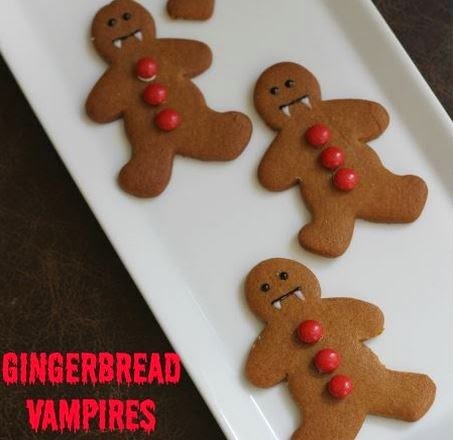 For vegan decorations, you can use vegan candy canes (usually found at health food stores or Whole Foods), Twizzlers (accidentally vegan), Dots (accidentally vegan), Sweet Surfs candies (many of their candies are vegan, just check the label! 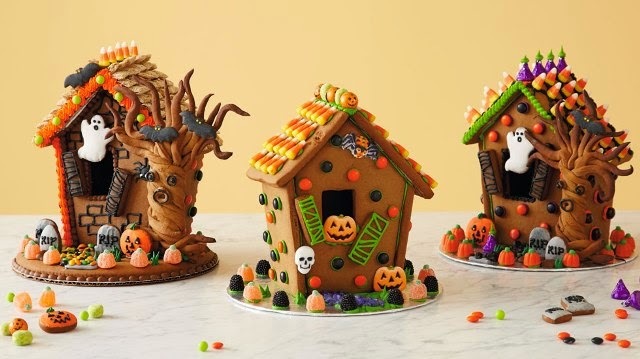 ), vegan chocolates from Endangered Species, Go Max Go, Sjaak's, Premium Chocolatiers, etc., pretzels, vegan sprinkles, shredded coconut, dried fruit and nuts, vegan fruit roll ups, vegan marshmallows from Dandies or Sweet and Sara, vegan lollipops, and so on! 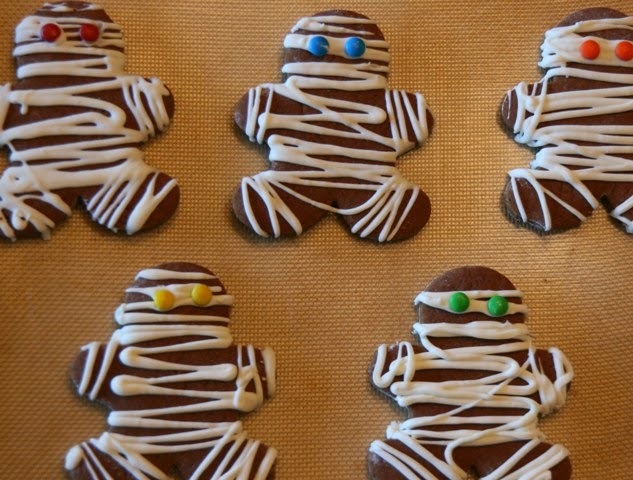 The royal icing for holding together the gingerbread haunted house can also be made vegan (and even dyed with vegan food dyes if needed), and a recipe for that is included in the recipe above. 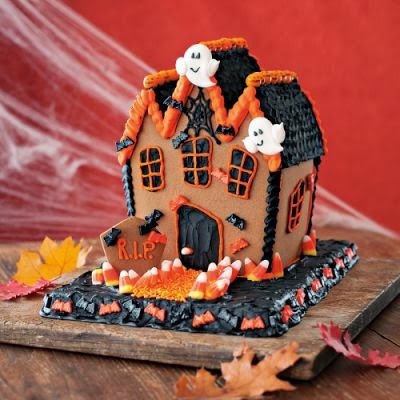 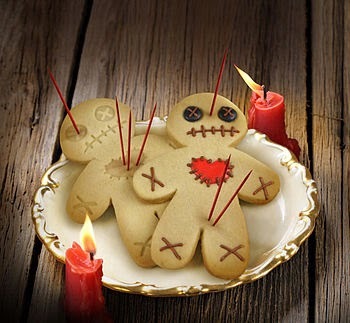 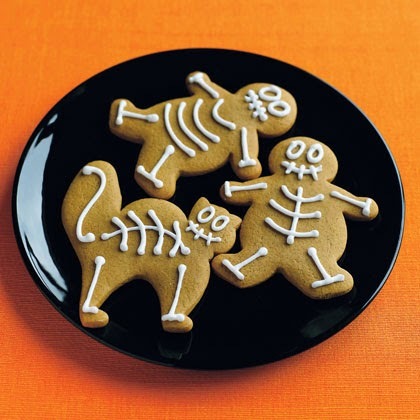 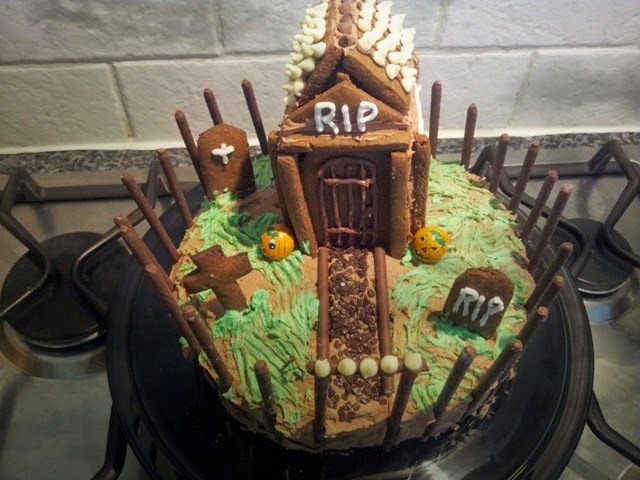 Cute - I am gonna make some scary gingerbread this year for fun.